Trade relations between the United States and China have grown increasingly tense, spurred by concerns that growing imports from China have led to plant closures and job loss in the United States. We find a link between the sharp decline in U.S. manufacturing employment after 2000 and the granting of Permanent Normal Trade Relations (PNTR) to China, which eliminated uncertainty about China‘s continued access to the U.S. market. Our research into the reactions of U.S. and Chinese firms to PNTR highlights the sensitivity of firm behavior to policy uncertainty. The granting of PNTR was followed by a 17 percent decline in U.S. manufacturing employment from 2000-2003, as Chinese goods were guaranteed permanent low tariffs in the United States. By effectively protecting U.S. industries throughout the 1990s, and then abruptly withdrawing this protection in 2000, U.S. trade policy may have prevented integration from occurring organically, therefore increasing transition costs for affected workers and firms. U.S. firms eventually adjusted to the new status quo by reallocating resources to more capital and skilled-labor intensive production, reflecting U.S. comparative advantage. Our findings suggest that the current high level of uncertainty in the global trading system might be suppressing trade, investment and employment even if new trade barriers ultimately fail to materialize. This possibility should be taken into account by policymakers as the viability of long-standing trade relationships has recently been thrown into doubt. U.S. manufacturing employment experienced a steep decline starting around 2000. This drop (see Figure 1) differs markedly from the more gradual decrease in manufacturing employment that occurred during the prior two decades. In the 21 years following the peak of U.S. manufacturing employment in 1979 to 2000, employment in the sector fell by 2.3 million workers. Over the next three years, from 2000 to 2003, employment fell by 2.9 million, or 17 percent. Employment outside manufacturing, by contrast, dips only slightly around this time, before continuing its upward trend. In recent research, we found a link between the post-2000 decline in U.S. manufacturing employment and a change in U.S. trade policy, which had been enacted in October of 2000, that extended PNTR status to China. PNTR for China was unique in that it eliminated a major source of uncertainty in U.S.-China trade relations, while leaving the tariff rates applied to Chinese goods unchanged. Prior to PNTR, U.S. imports from China faced the same (generally low) import tariffs as most other WTO-member trading partners to the United States. However, given China’s standing as a non-market economy, continued access to those low rates required annual re-approval by the President of the United States, which could be blocked by Congress. These renewals were uncontroversial when they first began in 1980, but their success became much less certain after the Tiananmen Square incident in 1989 and subsequent periods of tension between the United States and China during the 1990s. Absent renewal, U.S. tariffs on Chinese imports would have increased substantially, with the average industry facing an increase in tariff rates from 4 percent to 37 percent. For U.S. firms, the prospect of these potential tariff increases created a disincentive to sourcing goods from China, even as political reforms made locating production there more desirable. Throughout the 1990s, U.S. firms repeatedly appealed to the president and Congress to eliminate uncertainty regarding tariff rates, with the U.S. General Accounting Office reporting that “uncertainty over whether the U.S. government will withdraw or place further conditions on the renewal of China’s most-favored-nation trade status affects the ability of U.S. companies to do business in China”. These same disincentives applied to Chinese firms considering making investments to begin or expand exports to the United States, a fact noted in contemporaneous Chinese news. When Congress granted PNTR to China in 2000, it eliminated the need for annual renewal of China’s access to low U.S. import tariffs, making these low rates permanent and effectively liberalizing trade vis a vis China. Our research finds substantial responses to this change in policy among both U.S. and Chinese firms. We quantify an industry’s exposure to PNTR as the difference between the non-NTR rate to which tariffs would have risen if the annual renewal of China’s status had failed and the NTR tariff rate that was locked in by PNTR. Across manufacturing industries, these “NTR gaps” varied widely, with those industries more exposed to PNTR (higher NTR gaps) exhibiting a number of trends consistent with the change in firm incentives. We found that U.S. manufacturing employment declined sharply at the same time as the change in policy, with employment dropping relatively more in industries with higher NTR gaps (see Figure 2). 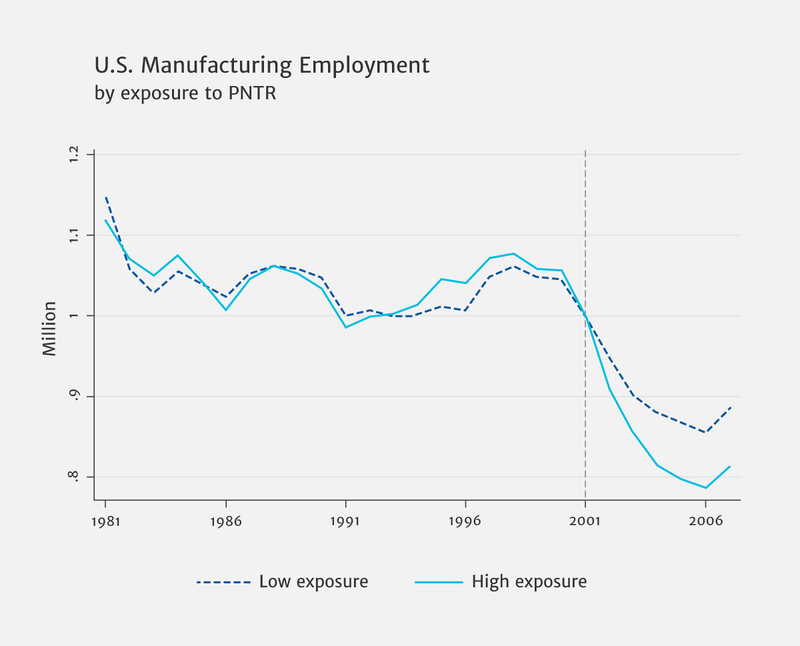 The relationship between exposure to PNTR and relative decline in manufacturing employment is statistically significant, matches the timing of the policy change, and persists even after accounting for other changes in policy occurring in the U.S. and China during this period. We also find that imports from China rose after PNTR, with the largest relative increases observed in products with higher NTR gaps (see Figure 3). Our analysis of firm-level trade data for both the U.S. and China reveals additional information about the nature of increasing U.S.-China trade after the policy change. 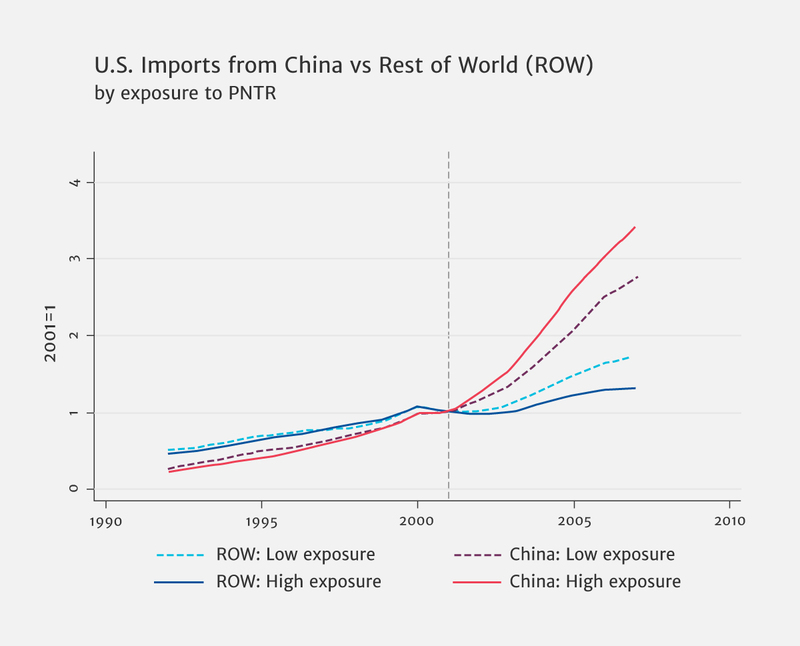 We found that higher exposure to PNTR was associated with relative increases in the number of U.S. firms that imported from China, as well as the number of Chinese firms that exported to the United States. PNTR was also associated with U.S. firms importing relatively more from related parties in China and relative increases in exports by foreign-owned firms in China, suggesting increased offshoring of operations and employment by U.S. firms. The speed of the post-2000 decline may have made the distributional losses associated with PNTR more severe. If workers who are displaced by a change in trade policy are able to find employment in other sectors quickly, their earnings losses may be more limited. But if such reallocation is more difficult when a large number of workers are searching for jobs simultaneously, the labor market shock may be more disruptive. In this case, reallocation may take longer, displaced workers’ earnings may fall more sharply, and distributional losses may be more severe. Autor, Dorn and Hanson found that labor markets that experienced larger increases in import competition from China exhibited relative declines in labor force participation and relative increases in Social Security disability payments. In related work, we found that geographic areas more exposed to PNTR exhibited relative increases in mortality from drug overdoses, one of the primary causes cited by Case and Deaton (2015) in their study into “deaths of despair”. 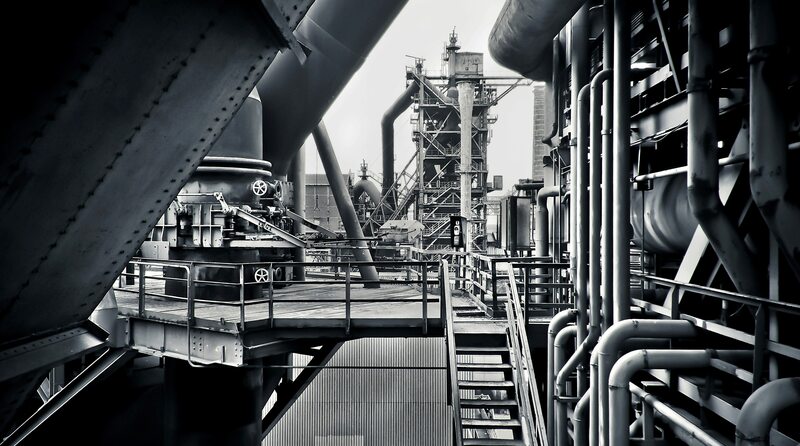 That connection is reminiscent of the increase in mortality rates associated with the loss of jobs by high-tenure workers in Pennsylvania’s steel industry in the 1980s. One interesting question that emerges from our analysis is whether the distributional losses in the United States associated with China’s rapid growth during the 1990s and 2000s would have been smaller if PNTR had been enacted earlier, when the U.S. first opened to trade with China. In that scenario, U.S. and Chinese firms might not have accumulated such pent-up demand for integration that was released simultaneously in 2001, and integration might have proceeded more gradually. Despite the decline of manufacturing employment, the U.S. manufacturing sector has not disappeared. And other research has found that granting PNTR to China has benefited the United States as a whole. 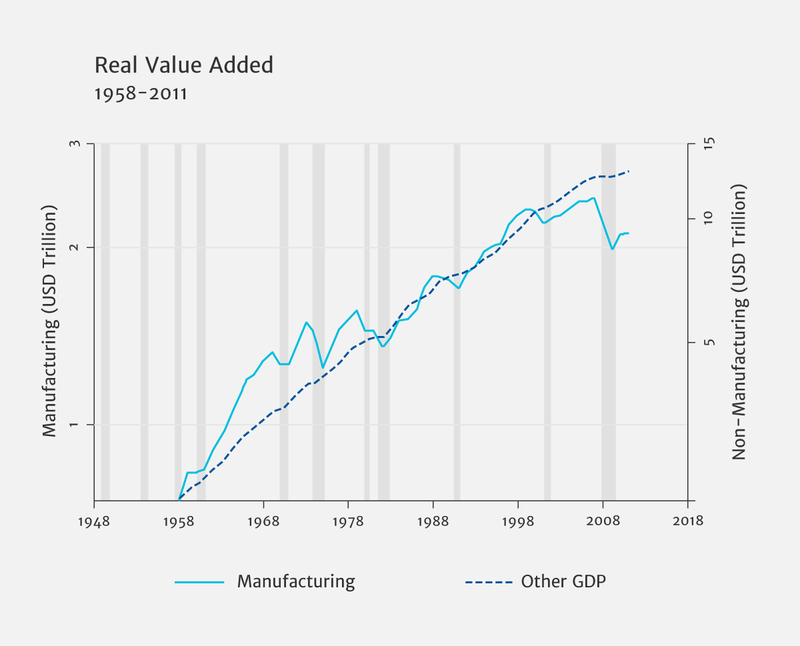 U.S. manufacturing value added continued to grow at essentially the same post-war pace after 2000—until the global financial crisis—even as manufacturing employment fell substantially (see Figure 4). This large increase in labor productivity likely reflects two sources: productivity growth in goods such as computers and semiconductors – and reallocation towards less labor-intensive production, more in line with U.S. comparative advantage. Our research found a role for PNTR in this reallocation of resources: industries more exposed to trade liberalization from PNTR exhibited relative increases in capital intensity and a proxy for skilled labor intensity. While some of this industry-level adjustment was due to the exit of labor-intensive plants, we found that PNTR induced relative increases in the skilled labor intensity of continuing plants. Our results indicate that uncertainty about trade policy —and its removal—can have important effects on firms’ decisions. Our analysis reveals that uncertainty about the renewal of China’s NTR status before PNTR likely delayed firms’ investment in U.S.-China trade. 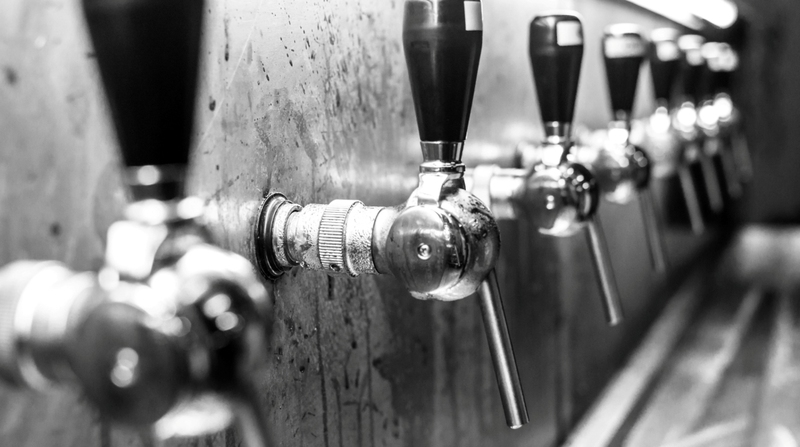 In today’s environment of uncertainty regarding the trade policy of major economies like the U.S. and United Kingdom, firms’ trade, investment and employment behavior are likely already adjusting, even absent major changes in applied tariff rates. The elimination of that uncertainty may yield further adjustments. Our results also highlight the potentially large distributional implications of trade liberalization. Expanded trade opportunities yield substantial benefits, including a more efficient allocation of resources, lower prices for consumer goods and intermediate inputs, and more dynamic firms and labor markets. At the same time, a broad range of research points to long-lasting adjustment costs for workers in industries and geographic areas that experience increases in foreign competition. When trade liberalization leads to abrupt adjustments, the shock to these workers may be more disruptive. 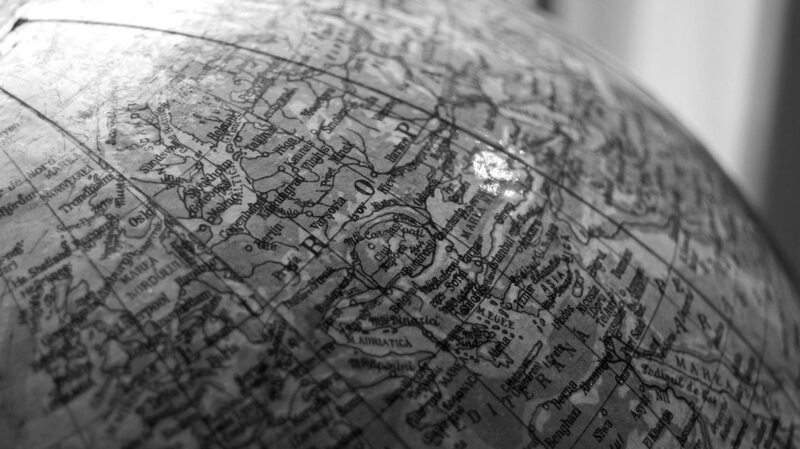 We recognize these considerations are relevant in contexts outside international trade. Like trade, expanding adoption of industrial robots and artificial intelligence present the possibility of substantial productivity gains coupled with large earnings losses for certain individuals. 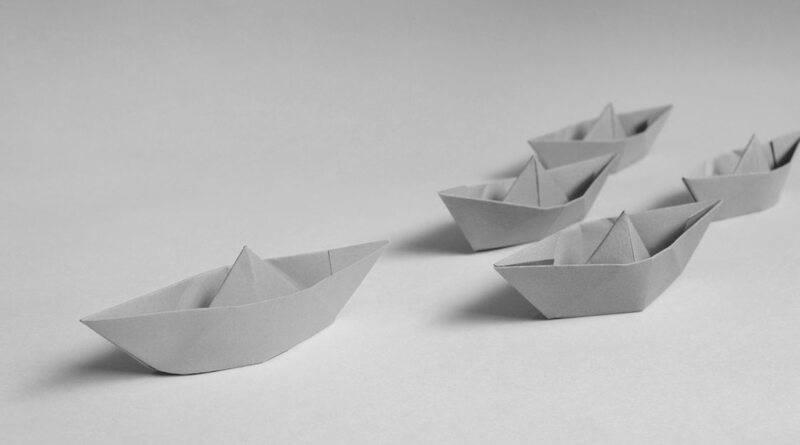 For policymakers, finding ways to facilitate the movement of workers displaced by trade and technology into employment in other industries and regions should be among the most important tasks of today. 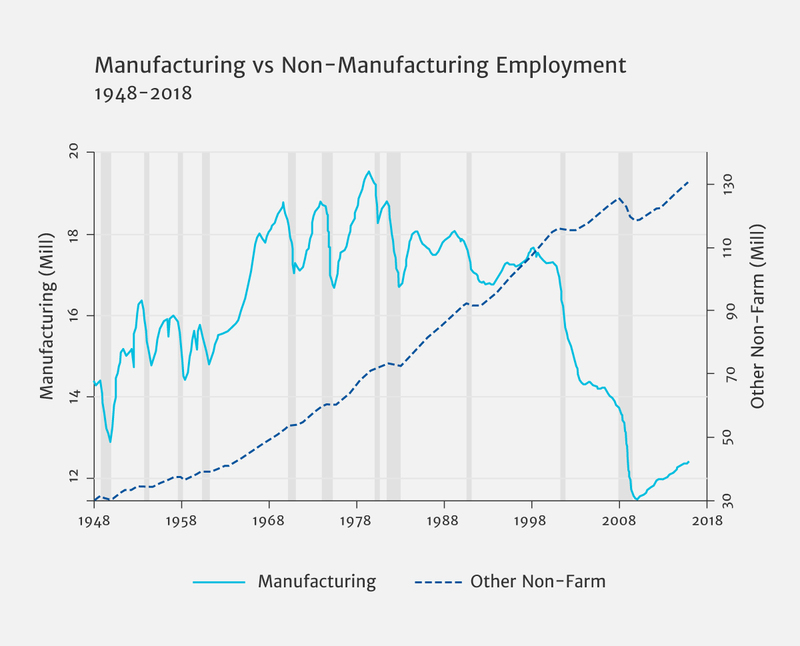 This column summarises ‘The Surprisingly Swift Decline of US Manufacturing Employment,’ by Justin R. Pierce (Federal Reserve Board of Governors) and Peter K. Schott (Yale School of Management), published in the American Economic Review.